Featuring the most respected voices in the industry, this will be an insightful and informative event. As a form of progress in digital economy, blockchain is one of the breakthroughs that put forward economy. The conventional banking system that far from easiness led to the appearance of innovations that make users of economic transactions searching for the new system that is easy to way transactions more easily and fast. Bitcoin was one of currency that popular recognized but not bound by regulations by any country is an example of one of the implementations of blockchain system. From Investopedia a blockchain definition is a digitized, decentralized, public ledger of all cryptocurrency transactions. Constantly growing as ‘completed’ blocks (the most recent transactions) are recorded and added to it in chronological order, it allows market participants to keep track of digital currency transactions without central recordkeeping. Each node (a computer connected to the network) gets a copy of the blockchain, which is downloaded automatically. Blockchain gives chance to build mutual trust and the first of all open access and has promised to give easier as well as the initial stages of a security better. And what were really great major ones are the following both of these factors enable without certain protocol. Do not need to worry with a wide range of things that will give and it has become difficult like a signature because with blockchain we sign digital signature which secures and loaded with encryption code up into one of progress is being made in which has been prepared. 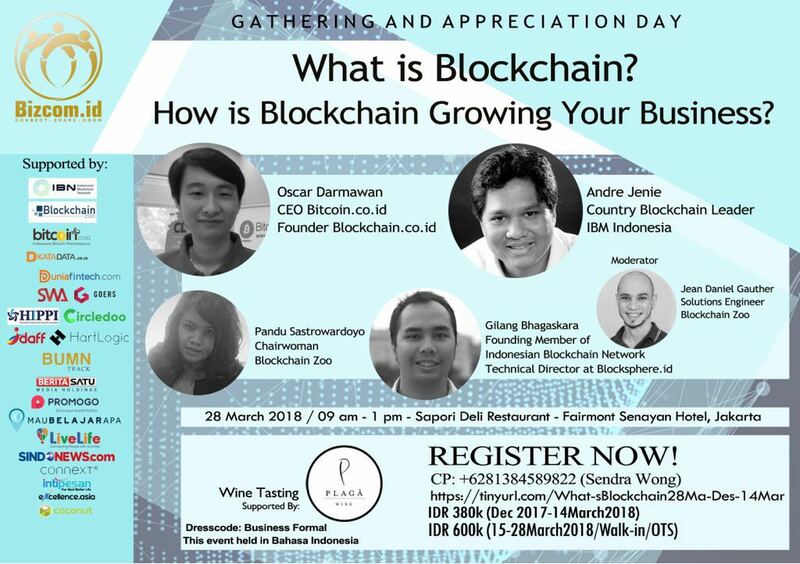 Bizcom Indonesia recognizes the potential blockchain and hope can spread the education on economic digital hence this event held with the purpose. This event held by Bizcom Indonesia as a part of our monthly networking. Copyright © Designed & Developed by IBN.